1,printing smoothly , no clogging nozzle,suitable for continue printing . By adding a heating roller to Roland/Mimaki/Mutoh ect large format printers,you can directly print on fabrics with our sublimation ink and get it transferred at once .No need transfer paper any more . 6, Transfer temperature:190-220 degrees. Transfer time:15-30 seconds. 8,Storage conditions,sealed, keep away from sunshine,under 5-25 cantigrade for 24 months. Once opened ,sealed, keep away from sunshine,under 5-25 centigrade for 90 days. 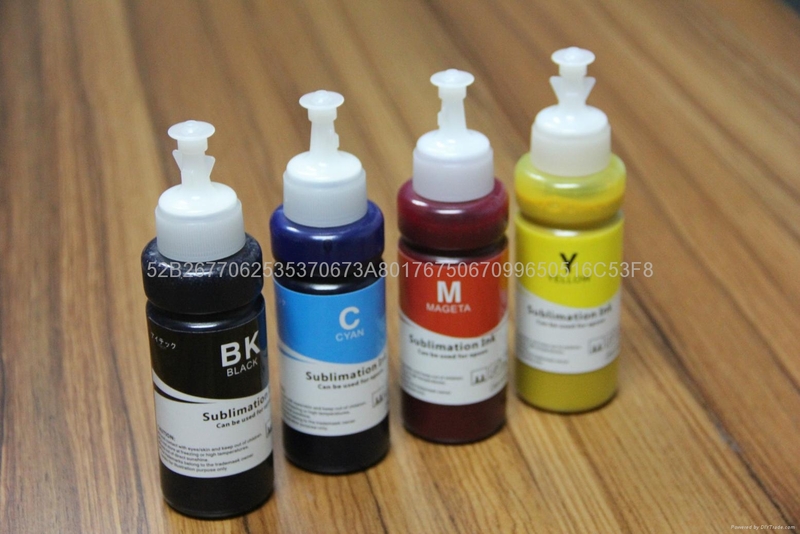 9,Application crafts gifts, Transfer print onto synthetic fabrics, mainly polyester, to manufacture sportswear, advertising materials, accessories, polyester, banners, flags, interior decoration polyester.